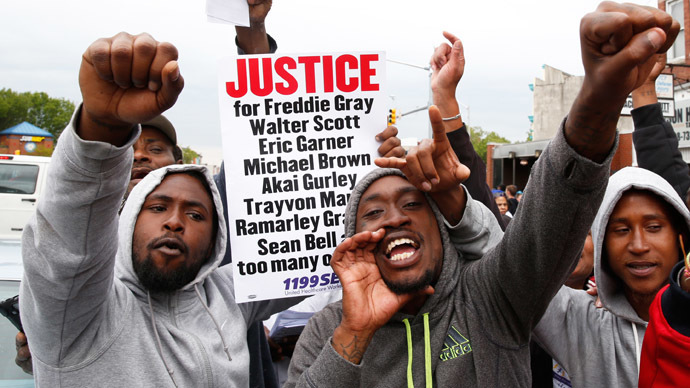 The recent unrest in Baltimore stemming from the homicide of Freddie Gray while in police custody has resulted in increased scrutiny of the city’s unemployment and crime rates – especially when comparing those of the city’s black and white populations. 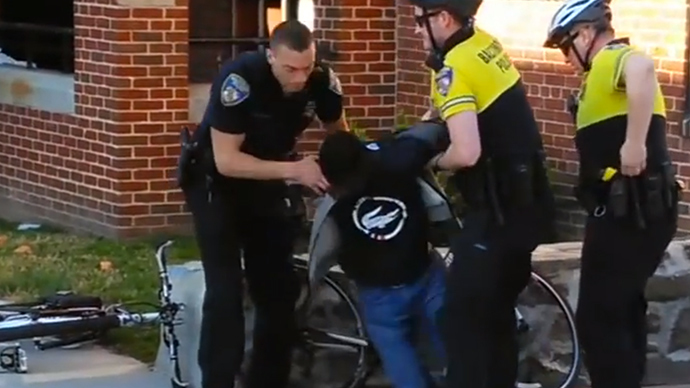 On Friday, Maryland State's Attorney Marilyn J. Mosby announced criminal charges against all six Baltimore police officers involved in the arrest of Gray. His arrest was “illegal,” she declared, and his death was "a homicide." Gray's death has proven to be a powder keg in the largest city of the state housing the nation's most wealthy residents overall, Maryland. 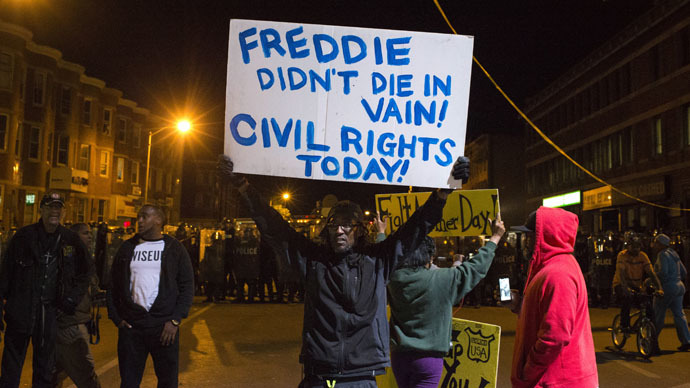 Baltimoreans angered by Gray's death have said that media coverage of recent uprisings in the city has not been put into a context that existed before April 12. "Nobody's talking about the $6 million the city paid out to victims of police brutality. Nobody's talking about the schools that were closed," activist Walter Forston told RT. "Nobody is talking about the fact that this is the outskirt of Sandtown-Winchester (the neighborhood central to the city's current unrest), not even Freddie Gray's neighborhood, [an area] that doesn't even have businesses that are able to be burned. Nobody's out here talking about the fact that in Sandtown-Winchester, there is a six-to-one female-to-male ratio because of the incarceration and because of the death tolls. This is what life is like here, and when all the cameras go, when everybody is gone, this is the environment and the community these people have to live in." Income inequality in the city, for example, is quite stark. According to the US Census Bureau, median household income in the state of Maryland was $73,538, about $40,000 more than black resident of Baltimore – and only $13,000 more than white residents of the city. Baltimore’s unemployment rate in 2014 was an overall 8.7 percent, down from a recession high of 10.9 percent in 2009, according to Maryland state data. Yet a closer look at city statistics reveals a major gap between unemployment among young black men ages 20 to 24 and white men of the same age: 37 percent to 10 percent. Gray was 25 at the time of his death. In addition, nearly 24 percent of Baltimore's population lives below the poverty line of $20,090 per year for a family of three. Life expectancy is another indicator of two separate Baltimores. In the areas known as Upton and Druid Heights, median income is $13,388 a year and life expectancy is 63 years. In nearby Roland Park, where median income is $90,492, life expectancy is 83 years, CNN reported citing city health statistics from 2011. "The solution can't just be to send more police in the streets or the National Guard. People are desperate. We have to deal with this issue of poverty, of unemployment and economic opportunities," economist Nouriel Roubini told CNN of the city's steep income inequality. Crime rates in the city have stayed high even as the city has followed the national trend of decreased, decades-low criminal activity. Fifteen years ago, Baltimore had the highest violent and property crime rate among major US cities. Ten years later, the city's rates dropped to 13th. The city's homicide rate, though, was still high at that point, according to The Washington Post. Policing tactics employed by former Baltimore mayor Martin O'Malley, in office from 1999 to 2006, to combat crime led to an explosion of arrests and, subsequently, a boost in jail rates, especially among non-violent offenders. In addition, about one-third of Maryland's state prisoners are from Baltimore city. Furthermore, public school education in Baltimore also, at least in part, reflects the city's marginalization of black residents. Gray went to a high school termed an "apartheid school" since it is attended by at least 99 percent black students. 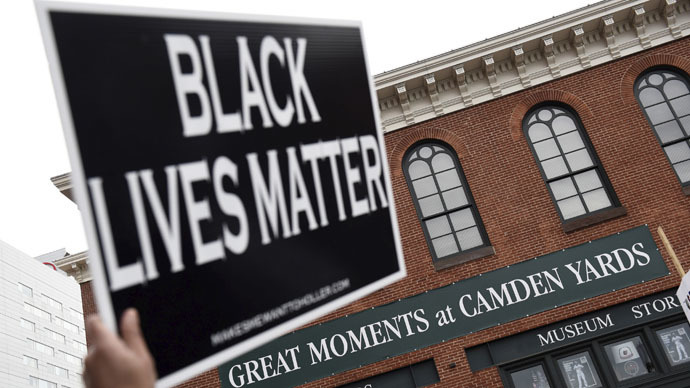 Various indicators cited by Mother Jones suggested that Gray's high school, as well as a similar school nearby, has faced grim realities not known in more affluent – and, invariably, more white – areas. Meanwhile, local residents are trying to make sense of Gray's death. "What happened to Freddie wasn't supposed to happen. 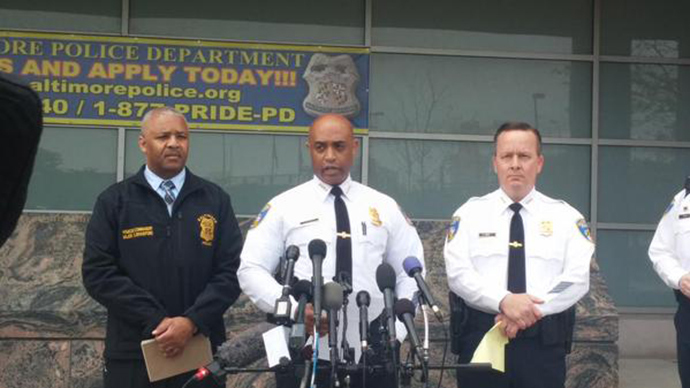 A routine regular arrest, that man shouldn't have wound up dead for that," Tony Singletary, a Baltimore resident, told RT. "He didn't have no drugs on him, he didn't have no weapon on him, come on. How'd he wind up dead? And they're talking about his spine was broken and all that. 'What did y'all do to him while y'all had him in custody? How'd he wind up like that?'" Singletary said Gray was universally liked in the neighborhood. "Freddie was cool. Everybody liked him. Freddie wasn't a mean guy or none of that stuff. He called me 'ounce,' because I'm older. That was respect. And I thought that was pretty cool, for a young guy to have that much respect for me." Singletary described the scene when Gray was apprehended by police. "[Police] ran him down to the point where his air that he had gave out so he gave up. He laid right there. He said, 'I quit, I quit.' Then all of the sudden, we heard him yelling like someone was beating him or something. Then the next thing I know, they dragging him and putting him in the paddy wagon," he said. "I just didn't understand what happened to him. 'What did y'all do to him?'"